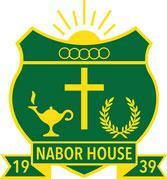 Nabor House fraternity is 75 years old in 2015 and the men of Nabor House are holding their diamond anniversary celebration the weekend of August 1-3, 2015. The weekend is close but reservations are still welcome for any part or all of the weekend. It will be a great opportunity to visit the campus and the new Nabor House facility, as well as renew acquaintances with former housemates. Classes are also planning their own events so be sure to get in touch with your class to be a part of the weekend. The anniversary is a milestone worthy of a celebration to honor the founders and their idea for a cooperative agriculture fraternity 75 years ago. Saturday evening, August 2nd will feature a celebration banquet for all house alumni. Anyone who would like to register can go to www.naborhouse.com or contact committee chairman Bill Campion at campionbros@plantpioneer.com or 309-238-5161. As part of the 25th anniversary of RAP, the College of ACES is establishing the Jesse C. Thompson (JCT) Scholarship fund. This fund provides scholarships for former Research Apprentice Program participants who enroll in an ACES major. To learn more about the JCT Scholarship Fund and contribute, visit the College of ACES Office of Advancement. Introductions & Recognition's includes the presentation of the 2014 Illinois 4-H Family Spirit Award, 4-H Legacy of Leadership Scholars, Illinois 4-H Livestock Scholar, and the induction of the Illinois 4-H Hall of Fame "Class of 2014." Time: Registration - 4:00 p.m., Recognition's - 4:30 p.m.
Save the Day for Agronomy Day! It's that time of year again! The University of Illinois Department of Crop Sciences is hosting the 58th annual Agronomy Day at the Crop Sciences Research and Education Center in Urbana. Visitors will learn about the latest findings in crop sciences, and with more than 1,000 visitors expected to attend, you won't want to miss this opportunity. Field tours will begin at 7 a.m., where researchers will discuss a variety of topics including soil fertility, insect management, crop production, weed control, corn and soybean genetics, plant diseases, farm economics, and more. Mark your calendars for August 14, we'll see you in the field! Tina Veal, Director of Alumni Relations for the College of Agricultural, Consumer and Environmental Sciences at the University of Illinois, recently received the 2014 Founders Distinguished Service Award from the National Agricultural Alumni and Development Association (NAADA). The award recognizes outstanding service and dedication to the NAADA organization. 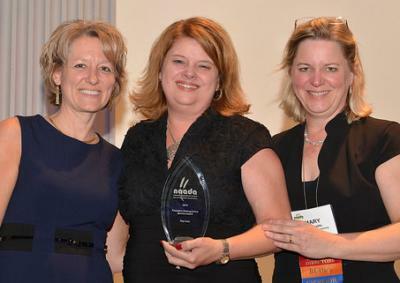 Tina also received recognition for her work with the Big 10 ag alumni directors for planning the Big Ten Ag Alumni event in Washington, DC as a Bright Idea Award at the NAADA 2014 Conference at Penn State. Congratulations Tina! 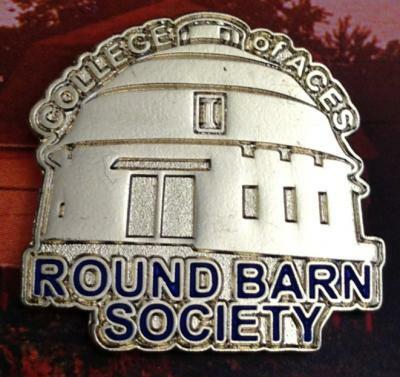 We cordially invite you to join us for the ACES Round Barn Society & Presidents Council member reception as we induct new ACES Round Barn members and Charter members who have not yet been pinned prior to the ACES College Connection. Time: 4:30 – 6:00 p.m. | Program at 5:00 p.m.
Register: Online or call 217.333.7744. Following the Round Barn Society reception all Round Barn Society members will be recognized at the ACES College Connection event. Registration separate. We look forward to bringing together members of the 4-H Family and College of ACES Alumni Family to celebrate our past year's accomplishments. Enjoy a opportunity to network and a buffet dinner as we honor recipients of the ACES Alumni Association and Illinois 4-H Foundation awards. Brad Meyers, B.S. '04, M.S. '07 FSHN of Chicago, IL. Brad is the Midwest Region Sales Director for Naturex, Inc.
Michael Robinson, B.S. '03 ACE of Monticello, IL. Jennifer Walling, B.S. '03, M.S. '06, J.D. ' NRES of Chicago, IL. Jennifer is the Executive Director at the Illinois Environmental Council. Join us for Salute to Agriculture Day! The College of Agricultural, Consumer and Environmental Sciences (ACES) invites you to attend Salute to Agriculture Day at the University of Illinois at Urbana-Champaign on Saturday, September 6 from 9-10:30 a.m. at the orange and blue striped tent located along First Street directly west of Memorial Stadium. Prior to watching the Illini take on Western Kentucky, we invite you to enjoy a tailgate including a short program hosted by Orion Samuelson followed by an auction of state fair prize-winning meat packages. A breakfast meal provided by L.A. Gourmet Catering will be featured in the tent. Adult meal tickets are $15. Student meal tickets are $10. A cash bar will also be available during the pre-game event. A limited number of football tickets are available for purchase on a first-come, first-served basis. Game tickets are $20. Game and meal tickets can be picked up through Friday, September 5 at the ACES Library, Information and Alumni Center, Suite 115, 1101 S. Goodwin Ave. Tickets can also be picked up at the tent prior to the start of the event. Save the Date for ACES in Places at Barnacopia in Polo, IL. You will have an opportunity to tour and learn more about Barnacopia, a peg-built structure, which opened in November 2011. The building features three levels of unique, antique tractors, cars & much more. Here are some of the things you will see when you visit the museum at Barnacopia. The '53 Ford on the 2nd level is the first car Gary drove at 12 years old – pre-license era! Enjoy a view of Mason St. in Polo, IL from the 1950's. Play pool on the John Deere pool table in the game room on the 3rd floor. Hang out in the 50's & 60's diner with operating jukebox & ice cream parlor. The headboard on the 3rd floor is made from the hay loft door from Judy's dad's (Max Plum) farm. We look forward to an evening to share Illini Spirit and a wonderful dinner. Registration information will be made available after August 1. 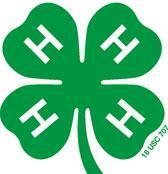 If you attended the 4-H House 75th Celebration, you will have a good idea of what to expect at the 80th. If you missed the 75th, you don't want to miss the 80th! The planning committee is bringing back the best of the 75th and adding some new twists to make this a memorable weekend for all alums. Now is the time to plan to spend this weekend with your house sisters reminiscing about all of your wonderful shared experiences. There will be time for you to get together with your pledge class or other classes you lived within the house. Each class is asked to plan a get-together at a time and place they find most advantageous. And there will be time to experience just what it means to be a 4-H House Woman. Select from the menu of events and activities. Come to the events that work for you. Don't miss this opportunity to reconnect with your sisters and learn more about our shared history. 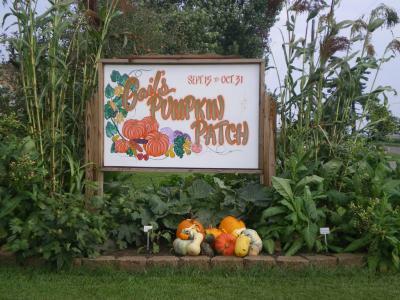 Join us for a wonderful evening learning about agritourism at Gail's Pumpkin Patch in Beason, IL. Tour will be a walking tour of the pumpkin patch, honeybee hive demo, crafts and lots of pumpkins, gourds and more! A dinner will be catered by Hilltop Catering following the tour and a short program by the College of ACES! Join us for a fall evening to share your Illini Spirit! Wear your Orange and Blue and we look forward to reconnecting with ACES alumni in your area! Register by September 26, 2014. Hosted by Katheryne Rehberg, District 5 ACES Alumni Board of Directors. For questions or assistance, contact the University of Illinois ACES Alumni Association at 217-333-7744 or email Tina Veal, Director of Alumni Relations at vealt@illinois.edu. The University of Illinois College of Agricultural, Consumer and Environmental Sciences alumni bring honor to themselves and their alma mater through many ways. The ACES Alumni Association celebrates alumni who have demonstrated outstanding professional achievement, or through outstanding leadership or service have significantly enhanced or improved the lives of others. Nominate an outstanding alumni today! Nomination forms will be available August 1 online. The College of ACES Alumni Association is thrilled to share a new program we are planning for Summer of 2015. Modeling after other campus programs, we will be providing alumni an opportunity to bring their children, grandchildren, nieces or nephews ages 8-12 years old to campus for a 1.5 day educational experience while spending time together on the University of Illinois and College of ACES campus. Participants will enjoy the college experience living in the residence halls, eating in the dining facilities and participating in educational classes on the College of ACES campus. This program will give you an opportunity to relive and share your college days as well as create new memories with your future Illini. The ACES Family Academies is being organized by the College of ACES Alumni Association and will be a self-supporting program that will rely on registration fees. You will have an opportunity to volunteer and be involved! ACES Family University will take place on July 9-10, 2015. The University of Illinois at Urbana-Champaign warmly invites you to return to Alma Mater each year for Homecoming. Typically held in October, Homecoming at the U of I is the longest continuously running such collegiate event, beginning in 1910 and marking its 100th anniversary in 2010. The occasion has taken place in each of those 100 years, with the exception of 1918, when the event was canceled because of the exigencies of World War I.
Homecoming's original concept – designed by two University of Illinois students, Clarence Foss Williams, Class of 1910, and W. Elmer Ekblaw, Classes of 1910 and 1912 – was to offer an annual event geared specifically to alumni and centered around a football game. 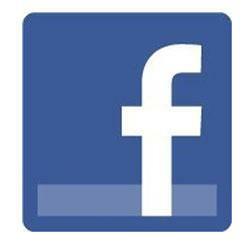 Its inaugural launch was an unqualified success, drawing more than 10,000 participants. UI enthusiasm for Homecoming has not dimmed since. While in some ways Illinois has cherished and maintained certain Homecoming traditions, it has also moved forward across the century, finding new ways to celebrate and new causes for pride in the institution, its students and its alumni. Innovations that have sprung up over the years include the parade, pep rally, Homecoming Court, tent parties and many additional campus activities. The latest Homecoming tradition to evolve is iHelp, a volunteer event begun in 2006 by the Student Alumni Ambassadors of the UI Alumni Association, in which more than a thousand University students and alumni give back to their communities each year. Illinois Homecoming 2014 takes place on the week of October 17 - 25. Please join us in celebrating long friendships, ongoing learning and the ever-promising future of the University of Illinois. Join the College of ACES and College of Media for the Ag Comm Huddle reunion during Homecoming weekend prior to the Illinois vs. Minnesota football game beginning at 8:30 a.m. at the ACES Library. Kick off is at 11:00 a.m. Stop by for donuts and coffee and meet Dr. LuLu Rodriguez, Director of Agricultural Communications at Illinois and mingle with other ag communications alumni! We hope to see you there! The College of ACES Student Advancement Committee is celebrating 25 years! A reunion of past SAC members and their families will be held on Saturday, October 25 during Homecoming weekend following the University of Illinois football game vs. Minnesota at approximately 3:00 p.m. The gathering will be held at the College of ACES Library, Information & Alumni Center immediately following the football game. Watch the ACES alumni website for more information and registration. Each district director is responsible for representing ACES alumni who reside within a specific geographic region in Illinois. He/she communicates the needs and concerns of constituents in their district to the ACES Alumni Association Board of Directors. The director also coordinates at least one social or professional event in his/her district during the academic year which includes securing a location and caterer, identifying the program participants, and working with the Alumni Association staff on creating the invitation and mailing lists. The Board of Directors meets four times per year on a week day and this year's elections will occur during the December alumni board meeting on December 5, 2014. Most of the meetings are on campus. Board members are also assigned to at least one committee. These committees meet via teleconference between board meetings, as needed. 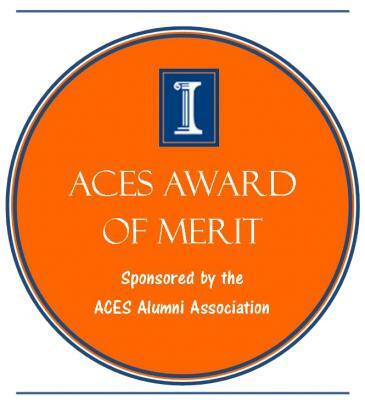 Board members are also strongly encouraged to attend the Award of Merit/FUNK Awards program in April on campus, ACES Alumni Weekend (Round Barn Society, College Connection & Salute to Agriculture Day), ACES Family Academies, as well as other events sponsored by the ACES Alumni Association. Nominees must have received a degree from the University of Illinois at Urbana-Champaign College of Agricultural, Consumer and Environmental Sciences. The nominee must reside in one of the following counties: Clark, Clay, Coles, Crawford, Cumberland, Edgar, Edwards, Effingham, Franklin, Gallatin, Hamilton, Hardin, Jasper, Jefferson, Johnson, Lawrence, Marion, Massac, Pope, Pulaski, Richland, Saline, Shelby, Wabash, Wayne, White, and Williamson. The application is due by September 8, 2014. • Will clearing of swaps affect the exchange-traded futures & options markets? • Does clearing reduce systemic risk? • How can the clearing process be streamlined and enhanced? The APLU has designated the University of Illinois (all three campuses) an Innovation and Economic Prosperity University – one of 14 to receive the distinction. Follow the Voices of ACES blog and find out what's happening around the College of ACES from a variety of viewpoints ranging from students to faculty. In January, the Division of Intercollegiate Athletics introduced an Illinois Pride campaign called "Paint the Highway Orange!" in an effort to showcase Fighting Illini pride and generate excitement for Illinois athletics. Just six months into the initiative, 15 sets of signs – commonly referred to as Burma-Shave signs – have been installed along interstates and major highways across the state of Illinois. "We have been encouraged by the great support for the first phase of the Paint the Highway Orange campaign," Illinois Director of Athletics Mike Thomas said. "The landowners who have partnered with us have told us how much they enjoy showing off their Illini pride and the many positive comments they have received about the signs. We need even more Illini fans to join this initiative and help us blanket the state's roadways with these signs to show the dedication and passion our fans have for the University of Illinois and Fighting Illini athletics." The signs have been installed in five locations along Interstate 57, three along Interstate 74, three along Interstate 80, two along Interstate 72 and two along Interstate 39. Illini fans and supporters are being called on to continue the program's momentum by joining the cause and placing a set of these signs on their property adjacent to major highways across the state. Landowners who pay for part or all of the sign placement cost can receive donation credit toward their I Fund account. In addition to this qualifying as a charitable contribution, priority points in the amount of your donation will be added to the landowner's I Fund account. The University of Illinois Foundation will follow up with a receipt of donation for tax purposes. To join the program or for more information, contact Kathy Plunk at 217-333-3631 or kplunk@illinois.edu.